For every batsman, it is necessary to be provided with the highest level of protection to minimize the possibility of suffering from an injury. With this, you should invest in the right pair of the best batting gloves. You should never decide on the basis of price alone. You should be intelligent enough to look at the most important factors, such as comfort, durability, and protection. While you will have an abundance of options, New Balance batting gloves are some of the best you will ever find, which is why they are favored even by the greatest names in the sport. 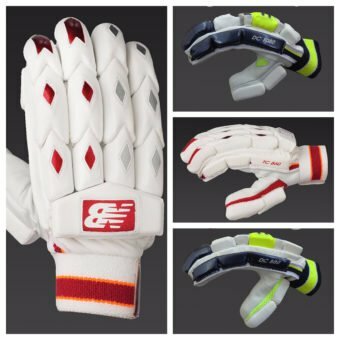 They use top-notch materials, which make their gloves excellent not only in terms of construction, but also the comfort that they can provide for any cricketer. Among others, one of the favorites is the New Balance TC1260 Batting Glove. The expensive price may easily put some people off, but if you value quality more than cost, this should never be a problem. The sheep leather used in the glove is perhaps one of its top features. It is complemented with a polyurethane backing, making it provide optimal comfort. Shock will be significantly minimized upon impact. The gussets offer ventilation, allowing air to pass through and to keep your hand dry as you play. With all of these, there is no wonder why it is used even by Joe Root. You might also want to look at New Balance DC 1080, which is another option with premium price. 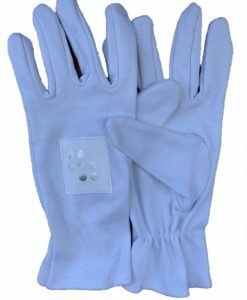 The fiber inserts on the finger will make it more durable, providing a surface that can resist abrasion. Even through years of intense games, it will not be easily prone to wear and tear. It also has side bolster, which is effective in providing additional protection. Meanwhile, the multi-section finger design helps to improve its flexibility. Your hand will be free to move, unlike in the case of others that will feel too restrictive. Another promising choice is New Balance DC 880 Batting Glove. It is endorsed by Ben Stokes and Steve Smith, two of the most popular cricketers who believe in the superior quality of these gloves. The Crosslink foam padding is one of its best features, which lessens shock upon making an impact. This is instrumental in lessening fatigue and enhancing your comfort. It also comes with a stretchable gusset for customized fit. Meanwhile, the New Balance TC 560 Batting Glove is the perfect choice if you are looking for one that is available at an affordable price. It is also made from sheep leather and is integrated with polyurethane back. For your comfort, it comes with ventilated gussets and elastic sweatband. If you are looking for the best New Balance batting gloves, we got you covered. Our diverse selection makes sure that there is something for everyone. Regardless if you want to splurge or if you are budget-conscious, you will have a wide array of choices. They are available at discounted prices, so grab a pair today before our stocks run out!